Important Note: As of the passage of Proposition 47 on November 4th, 2014. Shoplifting an amount under $950 can no longer be a basis for a burglary charge1. 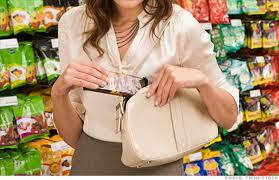 In California, the crime of shoplifting is usually treated as a petty theft crime according to Penal Code 459.5 PC. If the value of the stolen merchandise is less than $950, the crime is a misdemeanor offense that is punishable by up to six months in county jail and a $1000 fine, or both. However, similar theft-related conduct can be charged very differently, depending on the particular facts and circumstances of the offense. If the value of the stolen merchandise was $50 or less, and the defendant was a first-time offender with no prior shoplifting or theft-related convictions, the defendant could be eligible for charge reduction or even dismissal of the charges pursuant to a theft diversion program. The terms of the diversion program would allow the dismissal of the charges if the defendant successfully completed the terms of the diversion program by repaying the value of the stolen merchandise, completing an anti-theft class and doing community service hours ordered by the court. On the other side of the spectrum, the prosecutor could also treat shoplifting conduct much more harshly, under other circumstances. If the value of the stolen merchandise totaled more than $950, the offense would be charged as grand theft under Penal Code 487. In most cases, the punishment for grand theft could include up to one-year incarceration in the county jail, unless the stolen merchandise was a firearm, in which case the crime would be considered a felony and would carry a more severe punishment. 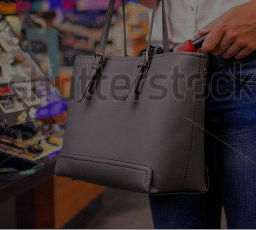 Regardless of the value of the stolen merchandise, a shoplifting offense can be charged as burglary if the prosecutor can show that the defendant entered the store with the intent to steal or with the intent to commit a felony. 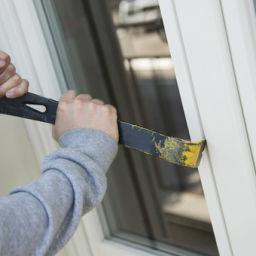 Second-degree burglary or commercial burglary under Penal Code 459 is “wobbler” offense, which can be charged either as a misdemeanor or a felony, depending on the circumstances of the offense and the criminal history of the defendant. Misdemeanor burglary is punishable by up to one-year in the county jail or a $1000 fine, or both. 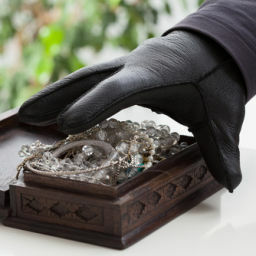 Felony commercial burglary carries a maximum sentence of up to three years in state prison or a $10,000 fine, or both. The crucial issue in deciding whether shoplifting will be charged as a burglary centers on evidence that exists regarding the intent of the accused. For example, consider the following facts: A department store security officer observed a person walk into the store, grab a pair of sunglasses from the shelf, and put them in his backpack. The offender then walked out of the store without paying for the sunglasses. This is a typical fact pattern in a shoplifting case. The evidence is clearly sufficient to charge the defendant with petty theft. However, without additional evidence of the defendant’s intent when entering the store, the prosecutor could not charge burglary in this case. If the defendant made a statement to the security officer, in which he admitted that he had been wanting the sun glasses for some time and that he came to the department store on the day of the offense, intending to steal the item, then the prosecutor would have sufficient evidence to charge burglary. The defendant’s admission would give the prosecutor the proof that he entered the store with the intent to steal, and thus the elements of burglary could be proven at trial. Another common way that prosecutors prove the intent element of burglary is to infer the defendant’s intent from the circumstances. For example, suppose that the stolen sunglasses were kept inside a locked glass case inside the department store, and the defendant used a tool to open the glass case and steal the sunglasses. In this case, the prosecutor could argue that the fact that the defendant brought the tool into the department store inside his backpack provided evidence that he entered the establishment with the intent to steal. Criminal charges like these are based on nuanced, fact-specific determinations that must be defended by knowledgeable and experienced defense counsel. As a former prosecutor, Diana Weiss Aiman, of the Aizman Law Firm has unique insight and experience in defending clients against shoplifting and theft-related charges. Contact the Aizman Law Firm right away if you have been charged with a theft-related crime. 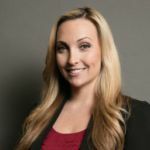 Last updated on December 17, 2018 by Diana Aizman, Esq.